Like many retirees, Anne and Jim Nash were ready to embark on a new adventure. They wanted to make the most of their hard earned leisure time and make some new memories. There was just one problem. The upkeep of the East Roseville home where they had lived and raised their family for 41 years, was getting in the way of their plans. While they still felt young at heart, they realized that the maintenance of their landscaped ⅓ acre backyard and pool were becoming physically taxing for the pair. Then, one day, Anne had an epiphany. “We need to move while we can still enjoy where we move,” she thought. Jim agreed. Extra extra, they read all about it. 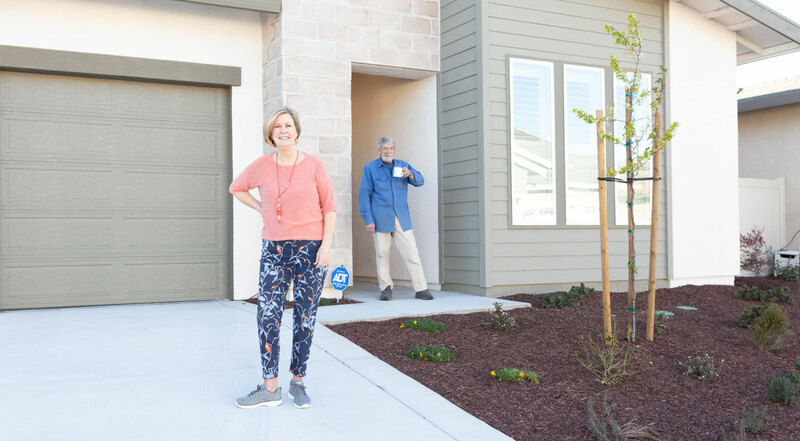 Anne and Jim started their search by looking at traditional single story, single family homes until, one day, Anne stumbled upon a story about Lennar in the paper. The company, who prides itself on building communities – not just homes, was building the Eclipse community at Heritage Solaire which seemed like a perfect place to enjoy their retirement. The fact that the new community would only mean a move to the west side of Roseville caught their attention. After so many years there, the Nashes had, understandably, grown very fond of the area and liked the idea of continuing to call the neighborhood home. After viewing a newly finished model home, they were sold. All that was left to do was sell. Out with the old then in with the new? Initially, they planned to sell their current home after they closed on and moved into their new home as the buy-a-new-home-while-selling-the-old-one process seemed way too daunting. As time went on, however, they changed their minds. To her surprise, their Lennar New Home Consultant let them in on a little secret: they didn’t have to. It was then that Anne and Jim learned about Lennar’s partnership with Opendoor, and how it would allow them to get twice the benefit with half the effort. They could avoid all the stress of dealing with the open market and focus on getting settled into their new home by selling their old home directly to Opendoor for a competitive cash offer. The process was simple. First, they would provide some key details about their home. Based on that information (as well as current data on the local housing market), they would receive a free offer on their home from Opendoor in as little as 24 hours. Once they accepted the offer, they would schedule their free home assessment and closing. Best of all, they could set the closing timeline that worked for them to ensure a smooth, stress-free transition into their new home. Anne thought the concept was “fabulous” and seemed like the perfect solution to the complicated equation of buying and selling at the same time so they requested their free offer. 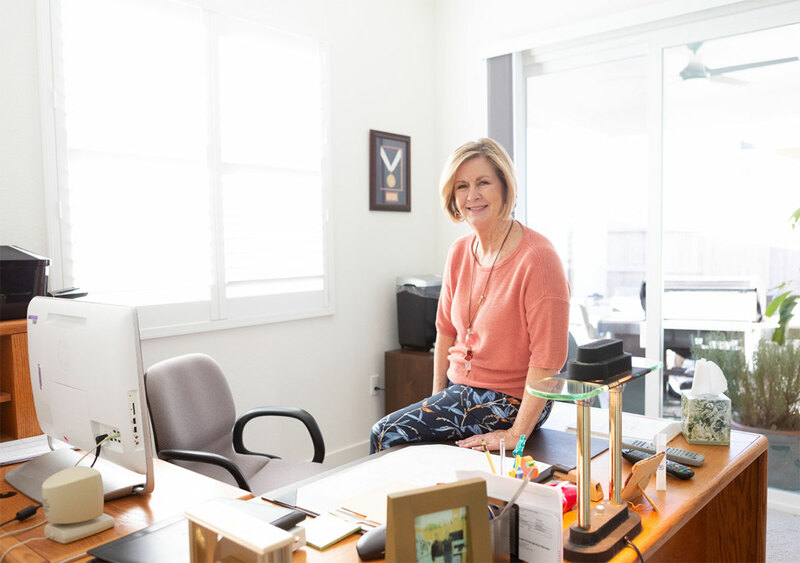 “Once we got the offer back and we looked at it, I’m going ‘It sounds really good,’” Anne said. While the offer seemed “exceedingly fair” to them, they opted for a second opinion from their financial planner. With his stamp of approval, the Nashes decided to take the plunge and sell to Opendoor. It wasn’t just the simplicity of the process that the Nashes appreciated. They admitted they were surprised with the service they received and felt both companies went above and beyond when it came to serving their needs. As someone who worked as a manager in banking for many years and understands the value of great service, Anne was particularly impressed. In connection with this piece, customers were compensated for their time, not their views or opinions. Learn more about Lennar and Opendoor’s relationship here.